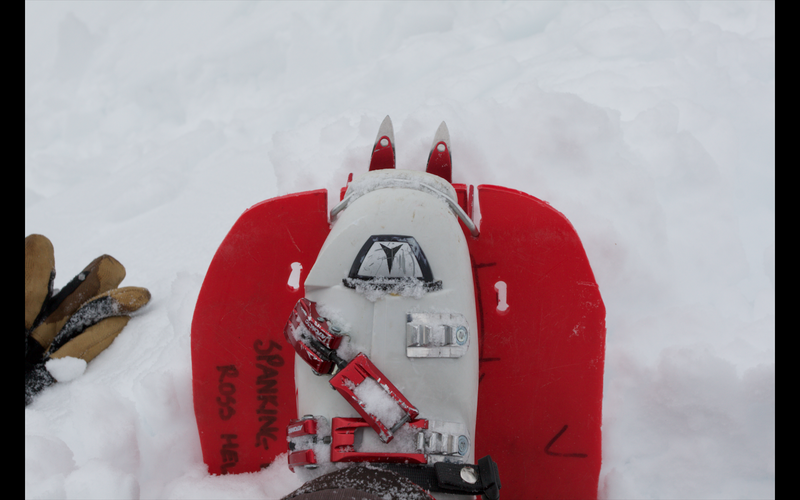 A few people were asking about my footwear for bootpacking when its chest deep powder. This simple plate fits between your crampon and boot. When the going gets hard just take it off and you have proper crampons for proper climbing. Several times I have left friends wallowing up to their chest while I can make steady progress. This entry was posted in Climbing, Skiing by Ross Hewitt - Skiing, Climbing, Photography. Bookmark the permalink.